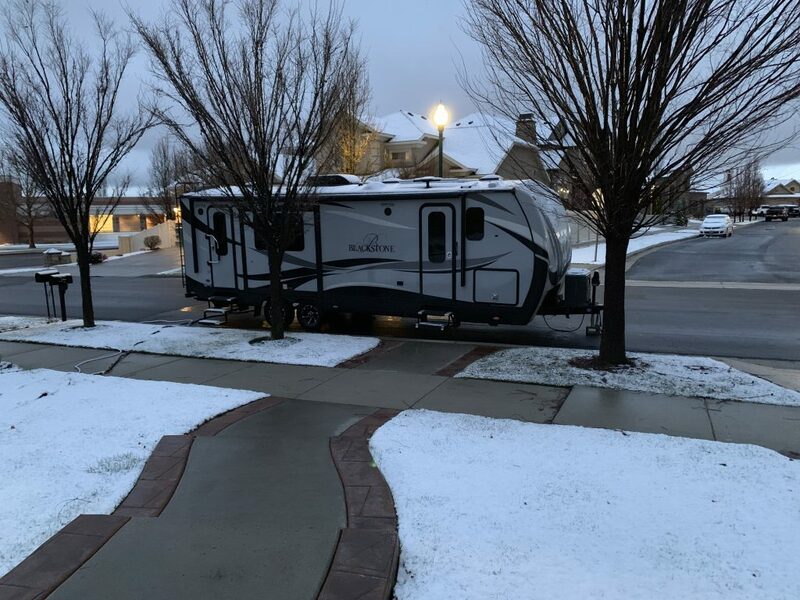 On March 29, 2019, we departed from a winter wonderland for a little camping in the Cedar Mountain Recreation Area in central Utah. We uncovered the trailer and prepared it for another spring, summer, and fall full of camping, relaxation, and fun. Our initial stop was on BLM land just south and east of Cleveland, Utah. The precise location is at 39.270189, -110.743703. We arrived at this location in the early evening of the 29th and stayed until about noon on the 31st. While in this location we had one vehicle pass by on the nearby road; the solitude was delightful. The sky was quite dark in this location, but lights from Huntington and Cleveland were visible on the horizon to the west. The location would be good for stargazing, observing, and astrophotography. We experienced some scattered clouds in the evenings we were there, so we didn’t use telescopes or other equipment to enjoy the stars. However, we took a few moments each evening to enjoy the creation. On Saturday we drove north to and then through the Nine Mile Canyon. It was a couple of hour drive away, but we’ve wanted to see Nine Mile Canyon for some time. It doesn’t seem to be on the way to anywhere, so now was as good as a time as any. 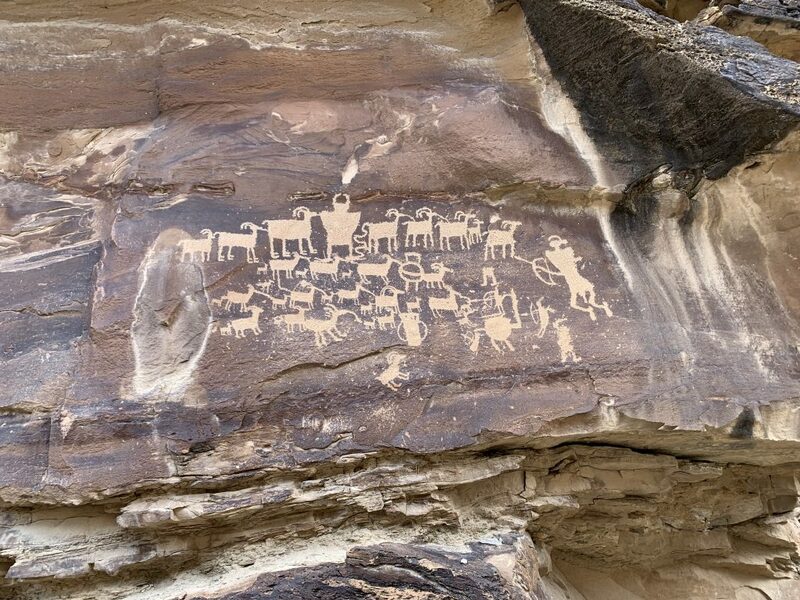 One of the more famous petroglyphs is the hunting scene illustrated here. There were many others worth seeing. Also, there are a few ancient ruins, a balanced rock, some old cabins, and some beautiful scenery. Well worth the drive. 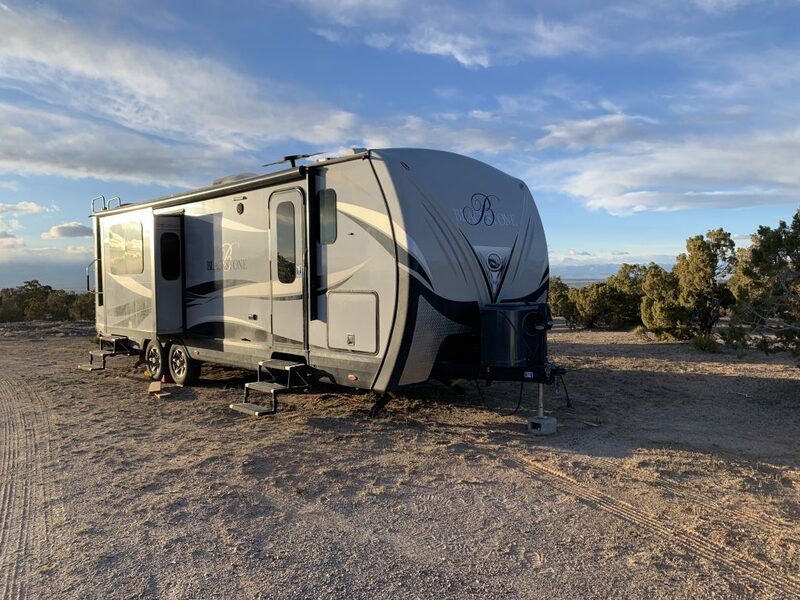 On March 31st we moved to Goose Island Campground near Arches National Park. We met a couple of our sons and their families there and occupied the group site at the north end of the campground. The campground is in between the Colorado River and the highway. Also, there is a well-used bike path that goes right past the group site. Finally, each evening, just before sunset, a tour boat cruises up the Colorado River with a guide pointing out things of interest. After dark, the boat returns down the river with an associated truck on the highway outfitted with a huge spotlight and generator. The spotlight shines through the campground, across the river, and onto the cliffs. The guide in the boat points out things of interest illuminatef by the light, and they slowly move on. The light is amazingly bright and shines through tents, RVs, etc. During our stay, this occurred at about 9 pm, but in the summer months, this might happen as late as 10 pm. Good luck sleeping through this artificial 10-minute long sunrise. These conditions make this campground a bit busy and noisy. However, camping is always restful and relaxing and our six nights were wonderful. We played games, sat around a campfire, played with grandchildren, read books, and rejuvenated. 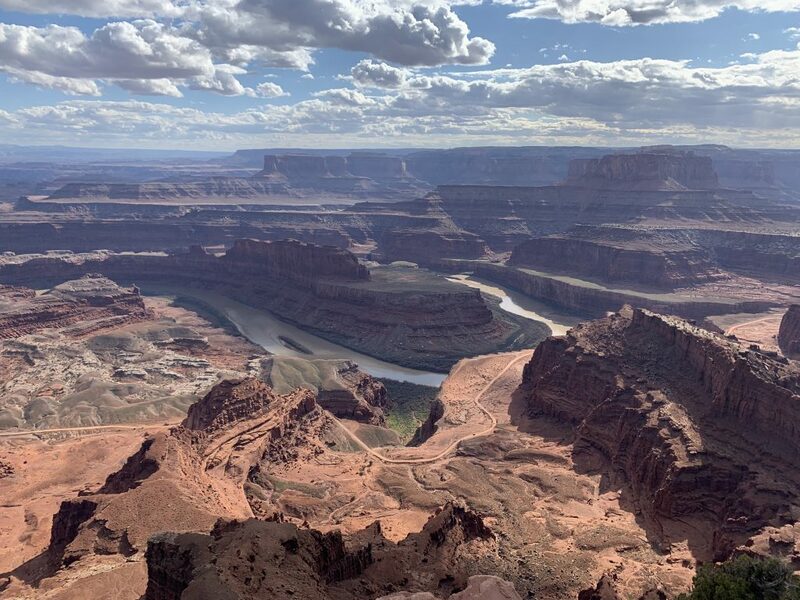 On one of the days, we drove to Canyonlands National Park. We walked to the top of Whale Rock and had lunch and enjoyed several of the scenic views. It was also fun watching my sons deal with their children in the gift shop. I watched, remembered the good old days, and thought how much better they are at fathering than I was. We entered Arches National Park twice and enjoyed various hikes and views. 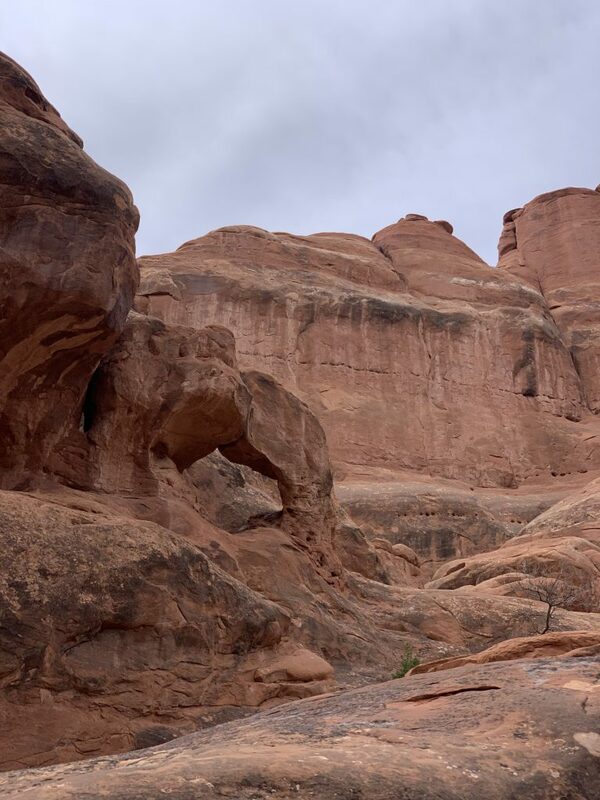 I’ve wanted to hike the Fiery Furnace for years, and my son acquired a permit for six of us. It was a fun hike involving some simple climbing, squeezing through short narrow canyons, and experiencing several dead ends. The scenery was spectacular. I would like to return and hike the Fiery Furnace again and take many more of the small side trips. We also drove to Dead Horse Point State Park. Fortunately, we have an annual state park pass that allowed us to enter for free. We drove to the overlook, took a look, took a picture, and left. We noticed that camping at the state park is $40 per night, but that likely includes hookups for RV’s and is a reasonable alternative for summer camping in the heat. We thoroughly enjoyed our week of camping. It was relaxing, fun being with family, hiking, and enjoying the breathtaking scenery of southern Utah. 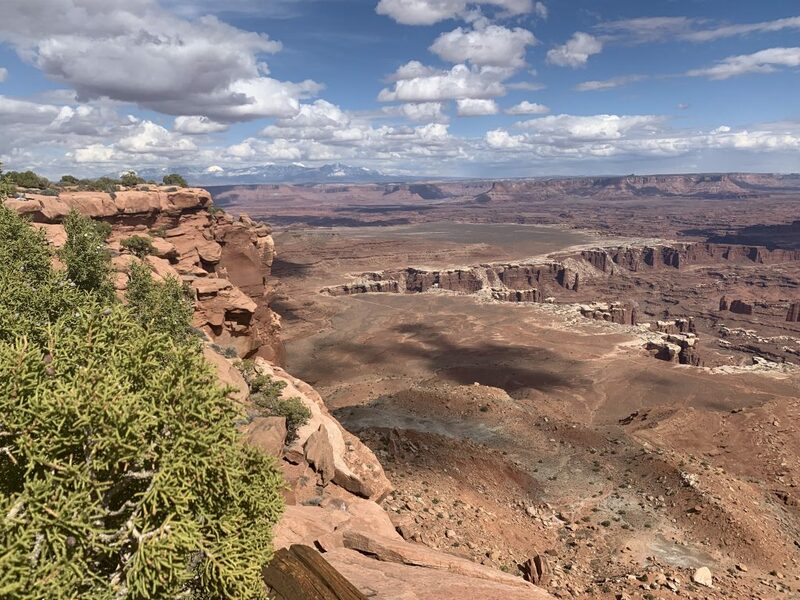 In closing, I include the following panoramic view from Canyonlands National Park which captures the essence of our trip.